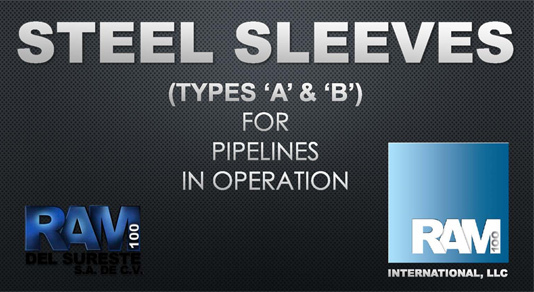 RAMFILL-B+RE repair systems are pressure containing metallic reinforcement sleeves (Boiler Type or Type B) with annular space to be pressure-filled with incompressible RAM-100 Epoxy resin, specially designed to transfer stress from the pipeline to the sleeve and can be installed without stopping operations on active pipelines. 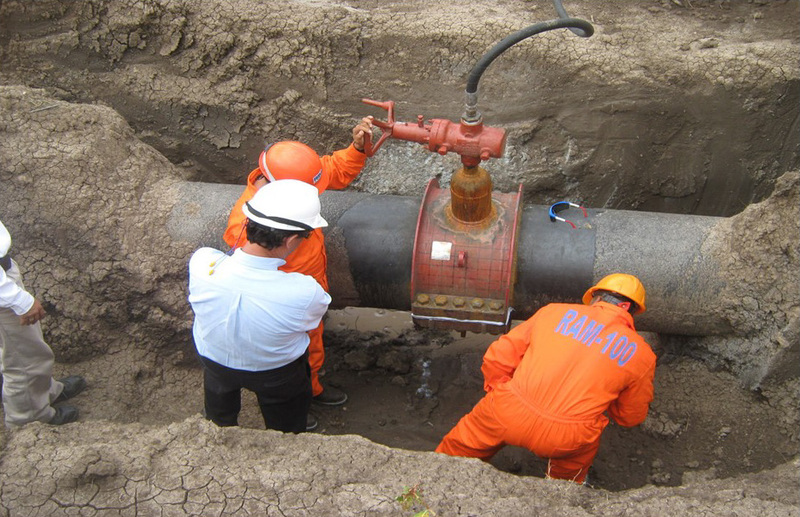 RAMFILL-B+RE repair systems are installed with a full encirclement weld to the pipeline and it is considered a permanent repair for pipeline corrosion with loss of metal of 80% or more according to PEMEX standard NRF-030-PEMEX-2009 and Mexico's pipeline safety standard NOM-027-SESH-2010. 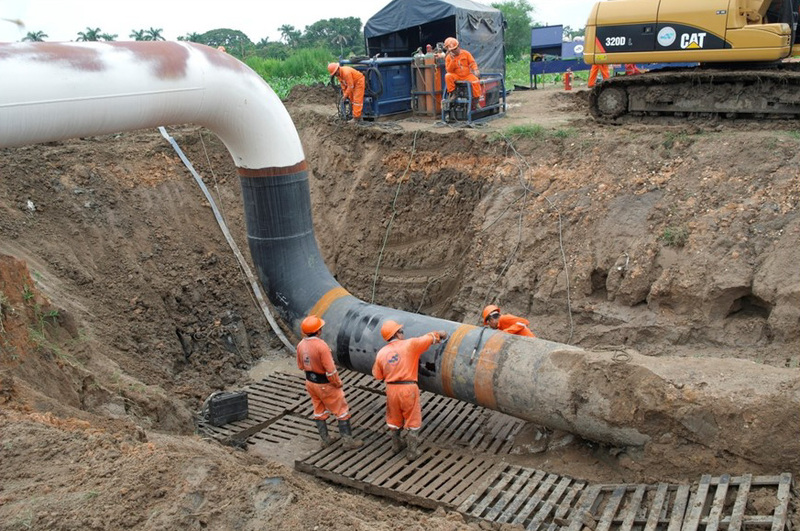 When the section of pipeline to be repaired is straight, the repair system is at its simplest design, formed by two rolled sections of greater diameter than the pipeline section, with integrated concentric reductions at each end of the sleeves to match the diameter of the pipeline. 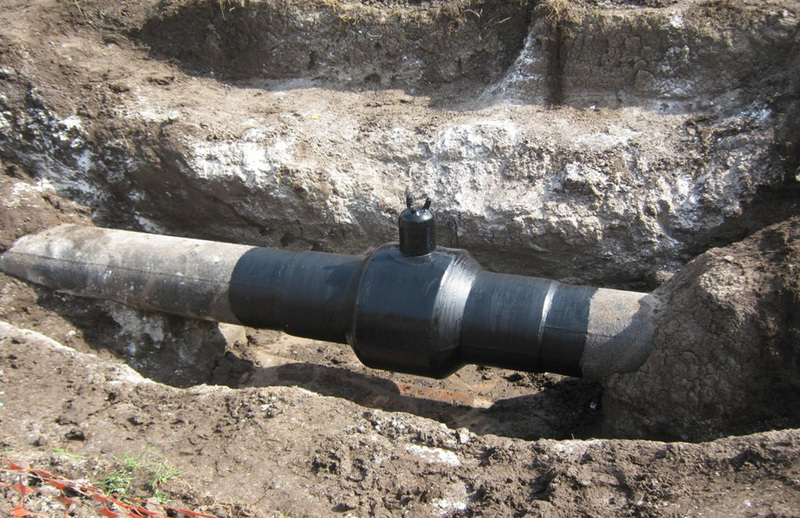 Specific and accurate measurement as well as specifications of the pipeline section to be repaired are required prior to manufacturing the repair system. 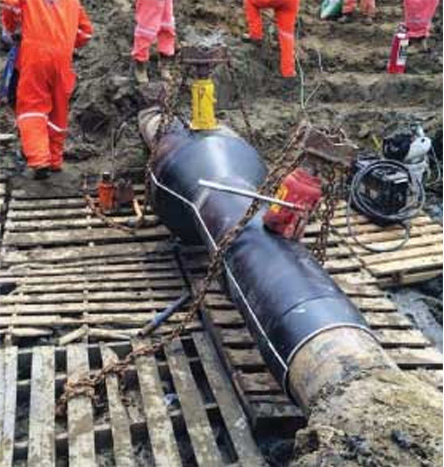 When the section of the pipeline to be repaired is not straight, a custom design, field verified, is prepared with specific measurements for length, diameter, thickness and specifications, to fit the sleeves to the condition of the pipeline section that needs to be reinforced. The design is verified with the contractor, client, and project engineers before proceeding to the manufacturing of the repair system, ensuring a perfect fit and solution to the pipeline system. 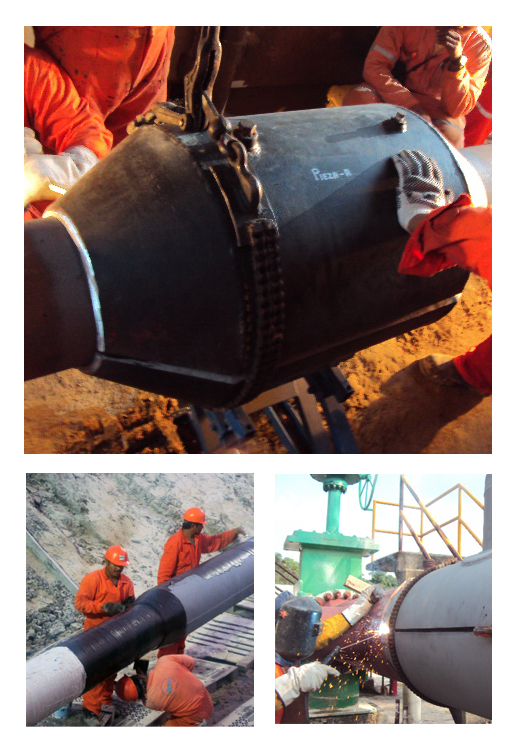 The fabrication of each RAMFILL-B+RE repair system is adjusted to the needs of each project and is available in all API diameters, from ASTM plate with stress resistance higher than or equal to the pipeline to be reinforced, and designed and manufactured according to the geometry, diameters and length demanded in each repair. RAMFILL-B+RE repair systems are recommended for all types of major flaws as identified during integrity inspections. RAMFILL-B+RE are custom designed and manufactured according to the geometry of the section(s) of the pipeline to be repaired; for permanent reinforcement and encapsulation of integrity deficiencies. RAMFILL-B+RE repair systems are definitive reinforcement solutions for transfer areas in different thickness of pipe and/or misaligned pipelines, major loss of metal or extreme operating conditions. These repair systems can be installed in aerial, underground or underwater pipelines using dry habitats for the weld operations.